Just around the corner is the day you’ve either been dreading, or desperately counting down to – the first day of school. And as a mum – your life will never be the same again. Each morning will be a haze of asking your child to put their socks on at least half a dozen times, lamenting that you’re out of bread again and trying to find the source of some ungodly smell at the bottom of a school bag. Here’s a hot tip from this seasoned school mum – preparation is key. This list has you covered, with exactly what you’ll need, and a bit of sage advice! Yes, there’s a lot of stuff that comes with school. So best get started, work your way through this list and we promise there’ll be no dreaded first day “I forgot to get…” moments. But we can’t promise there won’t be tears. That’s a given. 1. 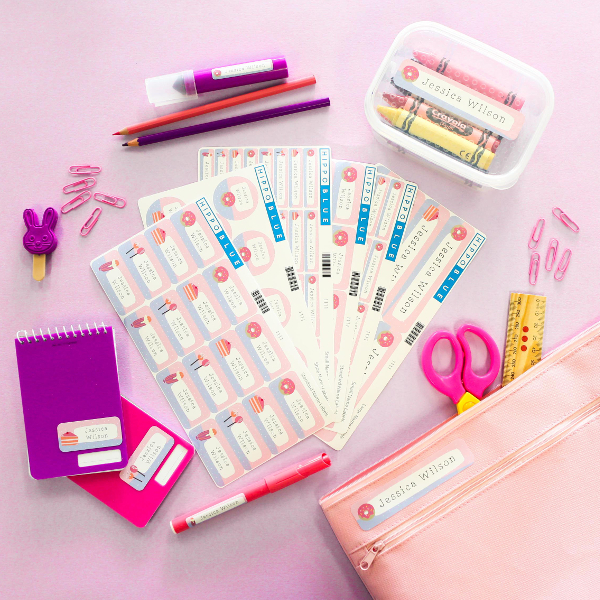 Get your labels on! When your child starts school you need to become a bit of a labelling sharpshooter. Anything that moves, gets labelled. Pencils, textas, shoes, rulers, lunchboxes, uniforms. Every. Single. Thing. Trust me. Don’t fall victim to labelling the old-fashioned way (a strip of paper stuck on with sticky tape). This was my downfall when my son started school – just a week in and I was repurchasing ‘lost’ items. This is a time when you need to pull out the big guns. Like any job, it’s best to do it once and do it right. Labelling your kids’ things with Hippo Blue labels means you’re doing it right – these nifty labels are actually designed to withstand peeling and fading. And little fingers that love to seek out things to pick at won’t have much luck when it comes to Hippo Blue labels. It’s like giving your children’s school supplies and uniform an insurance policy against the lost property bin (or someone else’s pencil case or bag!). This is one you can get the kids involved in. Letting them choose a backpack for school is a big moment. 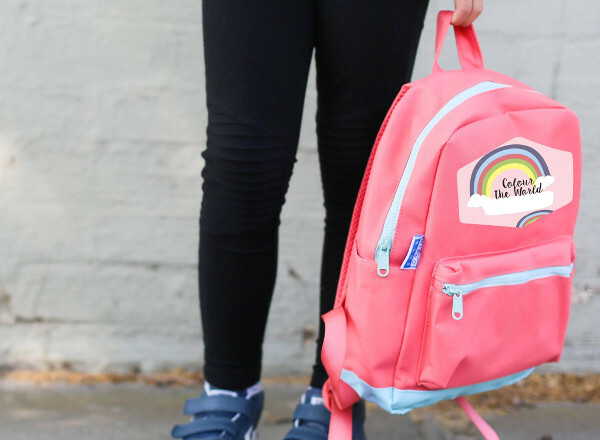 Even better – let them personalise their backpack. 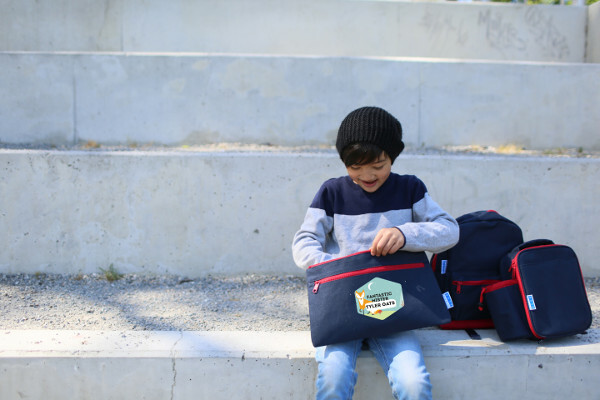 If you head to Hippo Blue you can see they have a couple of backpack options, and they have dozens of ways the kids can personalise the bag with their own name and design. 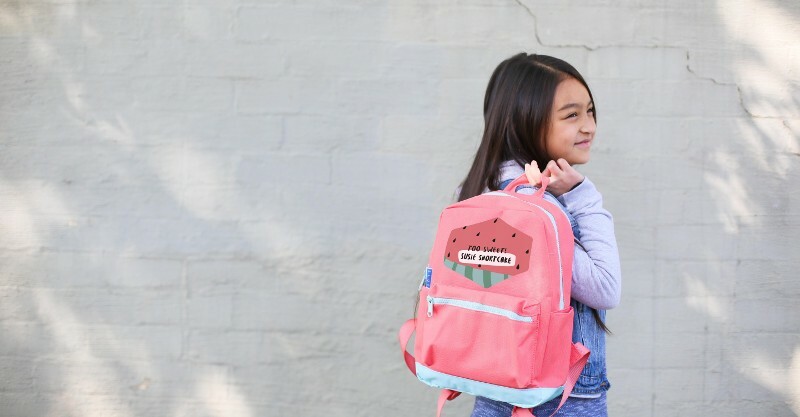 These backpacks are perfect for school, because they have that handy front pocket where the kids like to stuff birthday invitations, which you’re likely to discover the day before the party. Also the lining is easy to wipe clean. Because squashed banana inside a schoolbag is pretty much par for the course at some stage each week. Speaking of squashed banana – you’ll need something to actually send it to school in. A lunch bag is a necessary vessel to transport food that may or may not get eaten at school. I love the all-in-one type of lunch bags that mean you can pop a drink on the side, and a heap of food inside. Teachers will tell you kids don’t need a lot of food at school, but I tend to try and stuff as much in there as I can. Regardless, my son returns home from school starving every day, but that’s when the lunch bag gets trotted out and he finishes whatever wasn’t consumed that day. Afternoon snack sorted! 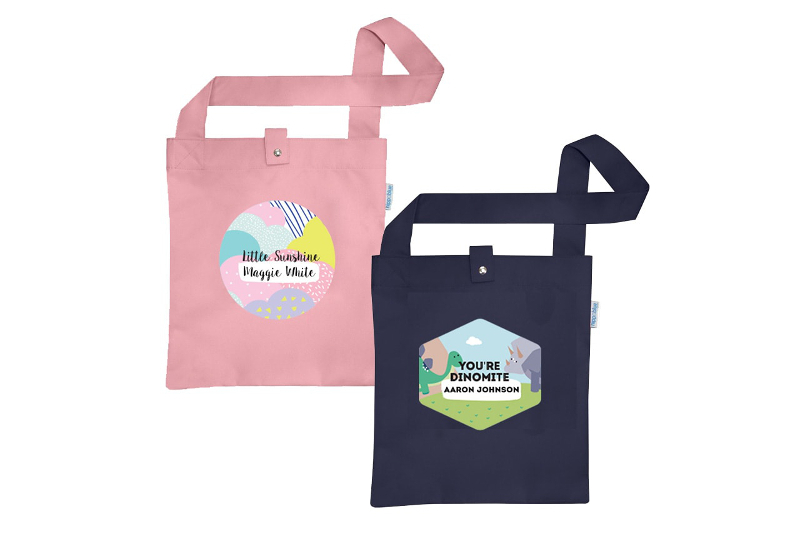 Hippo Blue’s lunch bags are insulated, completely wipeable, and they too can be personalised. 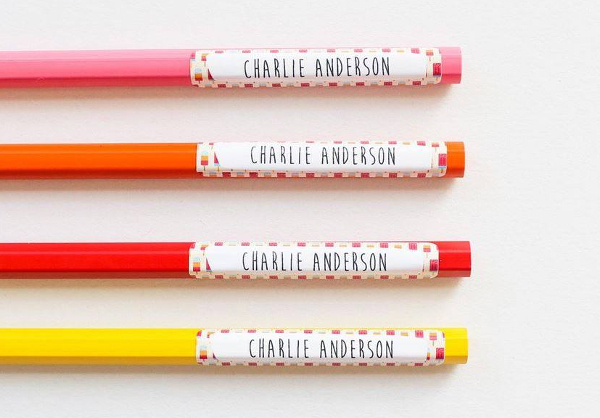 Another absolute essential for starting school is a nifty new pencil case. This is one of those things that kids go nuts about. 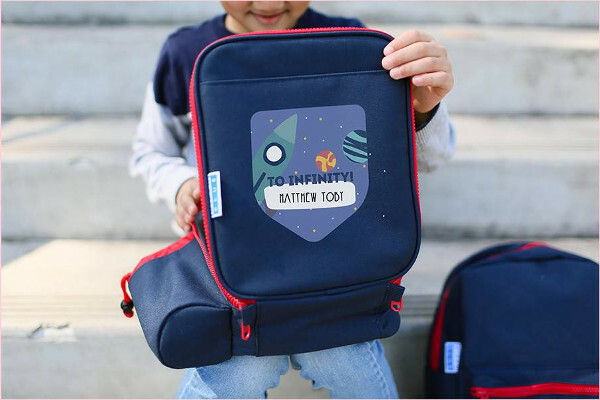 So let them have a play with those gorgeous designs on Hippo Blue again – and they can have the trifecta, the personalised backpack, lunch bag and pencil case. Let me warn you that pencil cases get quite the beating throughout the school year, but this sturdy option will see you through without a worry. Ah, those sweet little school libraries – I love the smell (which is a bit fresher than many classrooms), and the solitude. It’s the quietest place in the school, and it’s where your kids will get introduced to an incredible world that doesn’t exist on a screen, but between pages. I get rather nostalgic thinking about school libraries, and I love the idea of an old-fashioned library bag for kids. Hippo Blue does a beautiful personalised version, and it has a handy press stud to ensure books don’t tumble out. Your school librarian will want you to have a bag just for books, and again, better to do it right the first time. Now that the kids are sorted, we have a few things that mums need to have on hand as they embark on the school years. From the first day of school, you will begin finding stray bits of paper in your child’s bag. These notes will detail approximately a dozen school bake stands you’ll need to provide cakes for, a skill you’ll be required to master to help out at the school fete, excursion slips that should have been returned a week ago, and all manner of working bees at which you’ll be expected to volunteer your time. If your memory is anything like mine and you can’t remember when your actual birthday is (or how old you are), get a great visual calendar. 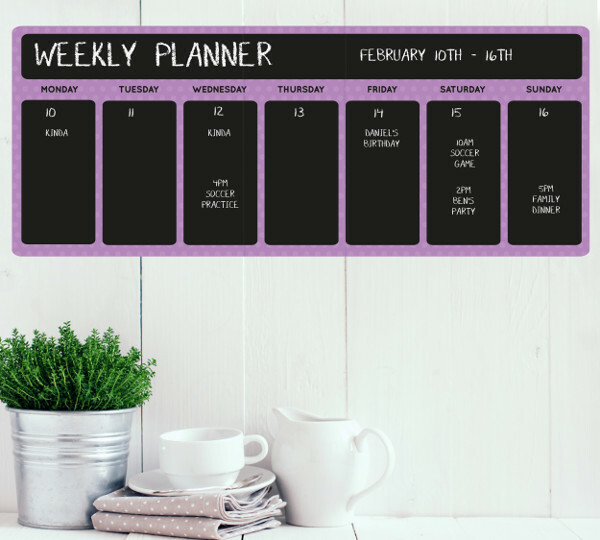 I transfer all important dates from my diary onto a wall calendar like this chalk decal from Hippo Blue, so that everyone in the family knows what’s going on each month. It’s honestly been a lifesaver, and I can’t even imagine not having one. And it’s great for remembering what day library books need to go back! Yes, we’d all like to have a full face of makeup and perfectly coiffed hair at school drop off, but let’s be real. There are days when you’ll be dragging yourself out of bed, and will barely have enough time to get your school child ready, let alone yourself. My cheat’s tip is to purchase some pyjamas that could easily pass for a bo-ho style of casual wear. Do the gate drop-off and the casual wave to the other mums, and from afar, all looks as it should. 8. Caffeine. And lots of it. You’ll need several strong cups of tea or coffee each morning as you battle the feet-dragging, last minute reader-reading chaos that is the school morning. In the evening, as you prepare a dinner that your school child will most likely refuse, and you gently try and persuade them for the hundredth time to do their reader so you don’t have to do it in the morning, a cup of strong tea or coffee may be replaced with another ‘warming’ beverage of your choice. This one is a non-negotiable. From the minute you walk out of those school gates on that first morning, lump in throat and eyes a-glint, you’ll realise life as you knew it for the last five years, is over. And it gets you right in the feels. Grab a friend (and that strong cuppa) and cry it out. You should be proud of raising a beautiful child who is now off enjoying the best years of their childhood. This won’t be the last time you’ll need this shoulder to cry on, so keep it close. And good luck on your school journey!